One of the things that I advocate for both adults and children is becoming a media critic. A critic not only points out negative media products and messages, but also positive ones. Today I want to share a great product and website, Go!Go! Sports Girls. This is an amazing company that provides girls with positive dolls and families with support for a healthy lifestyle. 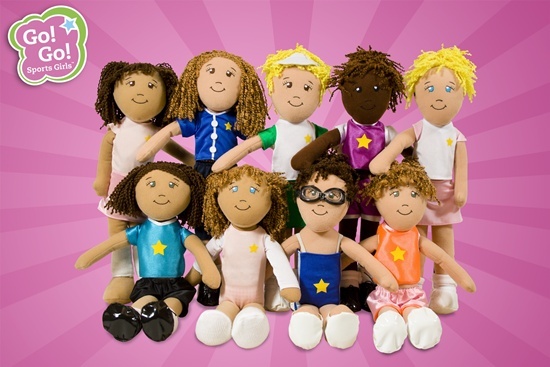 There are 11 different soft dolls to choose from, each focused on a particular sport ranging from soccer to swimming. Monster High supporters have told me that the brand is good for girls because it promotes a healthy lifestyle since the characters participate in sports. I say, if you want to encourage your child to see sports and active living as healthy and positive, why not buy Go!Go!Sports Girls? They are age and size appropriate. Rather than mimicking the curvy, thin-waisted build of many dolls that promote the thin ideal, these dolls look like real girls. Their whole message is about promoting healthy, active living and the positive benefits of sports. Below you can see 9 of the dolls, with two new ones coming soon. They have a wide range of skin and hair tones and many different sports are represented. Go!Go!SportsGirls was founded by Jodi Norgaard. 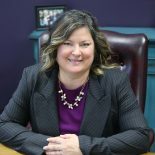 She was working with young girls and her own nine-year old daughter, and realized that there wasn’t a doll out there that was realistically proportioned and age appropriate. Looking at dolls with her daughter one day, she was uncomfortable with the options. One had on a cropped shirt, mini skirt, high heels, heavy make-up and a belly button ring. Jodi wanted dolls for little girls that looked like little girls, and she wanted to promote a positive message about the physical, mental, and emotional benefits of sports for girls. And so, Go!Go!Sports Girls was born. The website also has a link to the Dream Big Blog and tips for Healthy Living with information about eating healthy and exercise. Girls are constantly getting the message that the most important thing about them is their appearance. But sports can counterbalance that message by providing them with a way to view their bodies as strong, powerful, and useful for their own purposes rather than for the pleasure of others. Go!Go!SportsGirls provides every little girl, even those who aren’t into sports themselves, with a realistically shaped doll that they can see as accomplishing a goal and having fun. My daughter has the Cassie Soccer Girl and she loves playing with her. Cassie came with her own string bag with a soccer ball. My daughter does have a couple of Barbie’s and some other soft dolls that look more like adult women than girls. 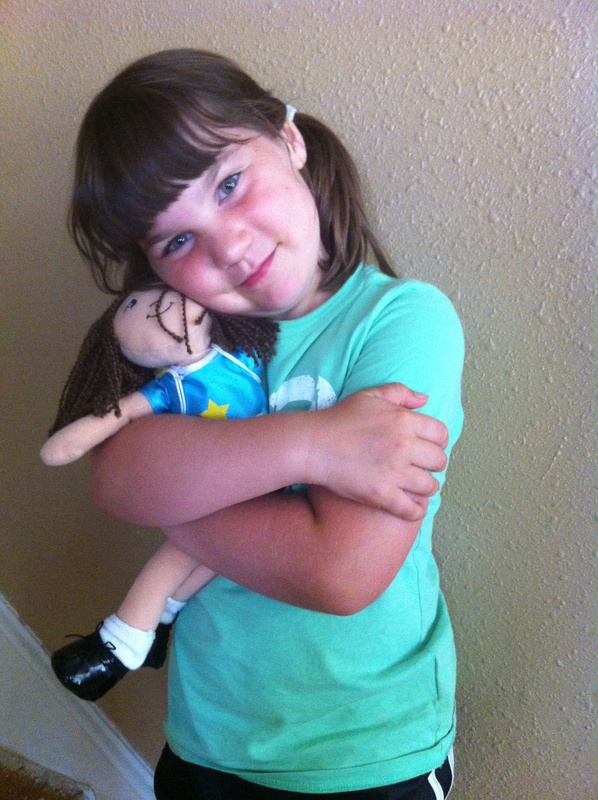 She prefers Cassie over these other dolls because she says that Cassie looks like a little girl and she reminds her of herself and her friends. These are fantastic dolls and a Go!Go!SportsGirls is a great company with a positive message. Check them out! I love these. What a great idea. If I were to choose one for me it would be the one with the orange top! This entry was posted on July 29, 2011 by Jennifer Shewmaker in What's out There That's Good and tagged Barbie, child development, Children Youth and Family, gender focused products, gender stereotypes, Go!Go!SportsGirls, Mattel, Media and children, media messages and children, Monster High, parenting, Sexualization, what makes a woman powerful, women and power.